Hope and Ivy floral open back long sleeved dress. Backless ruffle feature with hi low hem and full sleeves. Romantic floral print and pipping crochet inserts make this a perfect choice for your next wedding or summer special event. Hope and Ivy floral open back long sleeved dress. 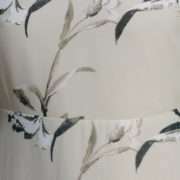 The contrast of the floating sleeves and open back detail make this dress a romantic choice for your next wedding or summer special occasion. 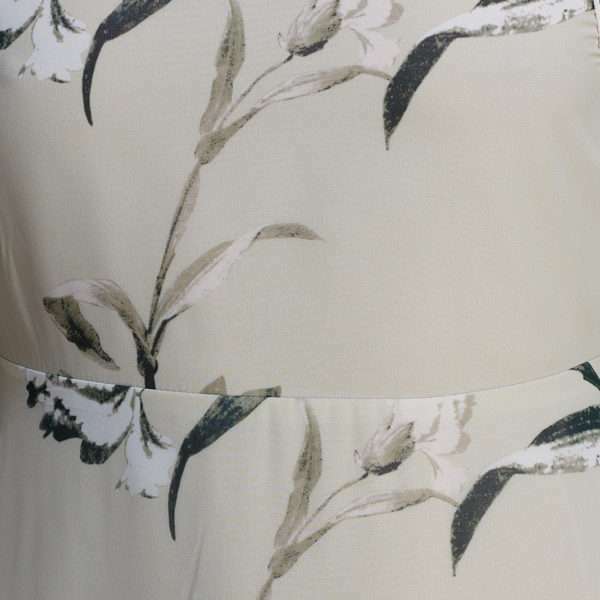 Floating material in soft pale green with natures flowers add to the bohemian chic of this dress. Ivory crochet detailing on the top and arms with a ruffled aspect to the back the high low hem are all little touches to make this dress a wardrobe favourite everyone will compliment you on.